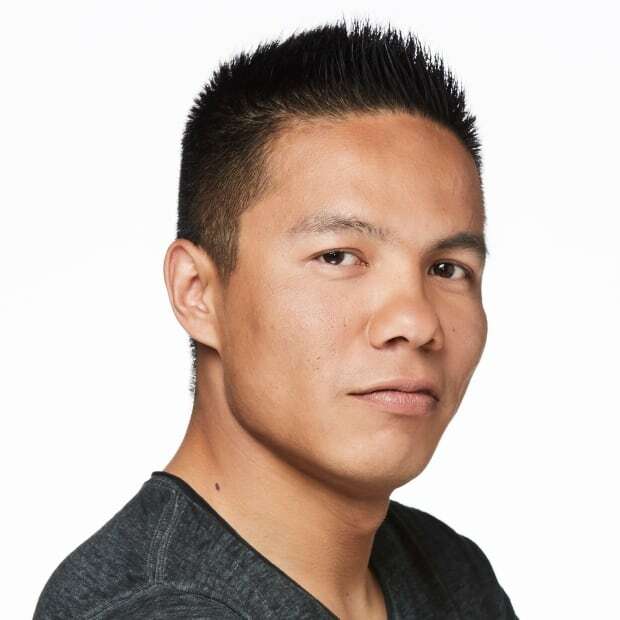 James Vukelich and Roy Tom are sharing Anishinaabemowin words on social media to help people reconnect with the language. Every Thursday at 9:30 p.m. CT, James Vukelich turns his phone's camera toward himself, and hits "go live" on Facebook. 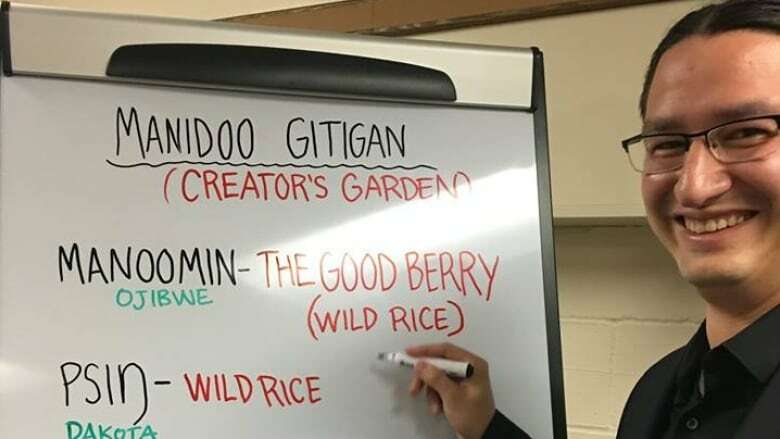 He starts off with a traditional Ojibway language — or Anishinaabemowin — greeting and delivers the "word of the day," connecting with and teaching the language to his online friends. "For me, putting stuff on social media is a way to get language materials to [people] for free that they can use at a touch of their fingertips," said Vukelich. Vukelich is from the Turtle Mountain Indian Reserve in Minnesota. He said his mother, grandmother, grandfather and uncles all went to boarding schools in the United States — like Canada's residential schools — and the language was lost for two generations in his family. "I didn't hear the language until I was 24 years old," said Vukelich. "It was the most fascinating language class I've ever taken my life. And I never looked back after that first semester," said Vukelich. "In my last year of university I was able to both study the linguistics behind it, the scientific approach to it... but then [Tobasonakwut Kinew] was sharing 'well, this what this word really means if you break it down,'" said Vukelich. Roy Tom is also using Facebook to teach Anishinaabemowin except he doesn't use any English in his videos. "There's not too many that are fluent [today]. Some people understand but they speak back to you in English," said Tom, who works as a cultural co-ordinator in Kenora. He said he went to a workshop in May 2018 at Whiteshell Provincial Park in Manitoba and heard Cree elder Wilfred Buck say that it was everyone's responsibility to teach Indigenous language. "She said don't worry about writing and don't worry about reading. You know the language, you speak the language, just do it and hopefully that will help people learn the language somehow." Since then, Tom has uploaded about 50 "words of the day." He uses combinations of words with practical uses, things like porridge, milk and brown sugar. Tom's family has also helped him to set up a Facebook group called "Anishinaabemowin with Roy Tom," which archives all of his language posts and has nearly 800 members.